Carriageworks will present Spring Night Market, a free, large-scale immersive contemporary food and wine event on Saturday 3 September from 5pm until 10pm, featuring some of the industry’s most respected names creating dishes with seasonal spring produce and curated by renowned Sydney chef and Creative Director of the Carriageworks Farmers Market, Mike McEnearney. The line up of the Spring Night Market features stallholders representing New South Wales’ leading restaurants and providores including Billy Kwong, Bird Cow Fish, Cake Wines, Efendy, Icebergs, Kurrawong Organics, La Bastide, Pasta Emilia, Pepe Saya, Porteno and Young Henrys. The Spring Night Market celebrates the new season and invites visitors to engage with and learn from leading chefs as they cook live with seasonal produce, transforming exclusively New South Wales regional produce into inspired, bespoke food offerings. NSW producers will be showcased at the Spring Night Market , including providores and winemakers from across the 14 wine regions of NSW from the Hunter Valley to the Canberra Region in the south, as well as beer and spirit makers. Each stallholder will profile the regional source of the produce they are using. 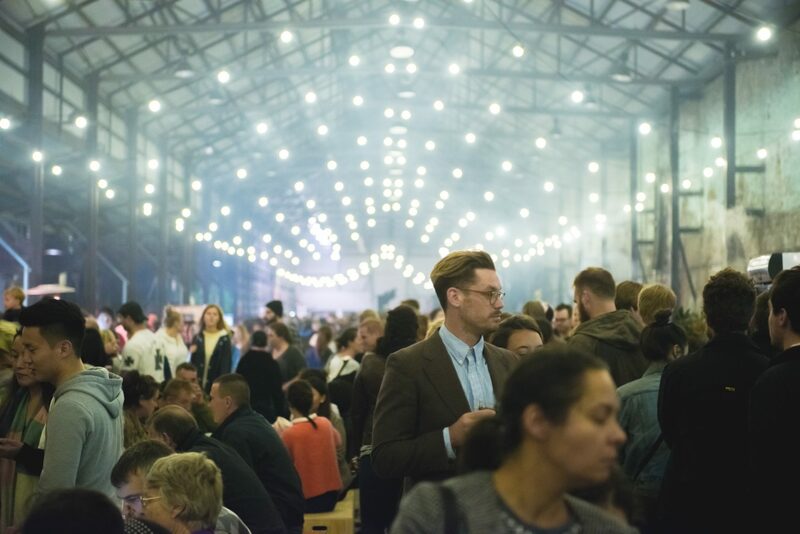 The Spring Night Market follows the recent success of the Night Market, presented over two evenings in June as part of Vivid Sydney 2016 that attracted over 9,000 visitors each night and Carriageworks Christmas Twilight Market, held on 23 December 2015 that attracted over 8,000 visitors. Carriageworks also presents the weekly Carriageworks Farmers Market, recognised as one of Australia’s leading Artisan farmers markets, that attracts over 5,000 people every Saturday and supports over 120 NSW producers. Entry to the Spring Night Market is free of charge.